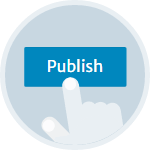 Creating and managing your website is simple with Easysites web site builder. Get started in minutes and make changes to your site easily. 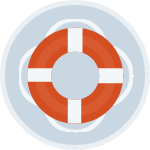 We'll even give you a free domain name for life. As long as you are with us we renew your domain name each year so you don't have to. Find a unique style for your site. Choose from hundreds of beautiful styled business templates. Get the look and feel you want. 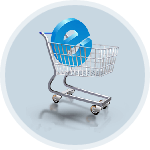 Shopping cart software and secure payment is included with every Easysite website. Opening an online store won't cost any extra. With our responsive website design and mobile templates, we make sure your site looks good on any device its viewed on. Our support team are waiting to help you. Call: (877) 832-7974 and we will call you back and help set-up your site over the phone. 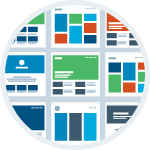 We include all the web design tools needed to build your own website. Start selling on your own online store. Your new website will look great on any device its viewed on. Hi my name is Steve and Im the owner of Easysite. I live in San Diego, California and love it. Because I developed websites in the California area I always had friends asking me to help them design a website. That's when I came up with the idea of creating a website builder that people with no previous web design knowledge could use to build their own website. It had to be simple to use, but create a website that looked like it had been created by a California web design company. A website that was mobile friendly and worked and looked good on any device. That's when I made Easysite. I invite you to try Easysite for the next 30 days for free, fill in the form and start. Have a question? CALL: (877) 832-7974 EMAIL: help@easysite.com or use the chat with us button below. Steve Sivulka owner of Easysite.com - I invite you to try Easysite for the next 30 days for free. Fill in the form below and start to build your website. People just like you that wanted a website and using Easysite built their own. 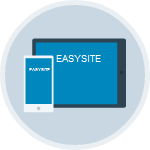 Once they tried Easysite they were hooked and loved how easy it was to build their own website. From the time you sign up, no credit or bank card required you have 30 days to try Easysite. You will be able to use all the features. After the 30 day trial period you may continue using our service for $19.95/month. Build a 5 page website or 500 page website. Sell 10 products or 10,000 products the price is only $19.95/monthly. There is no upgrade. Your Easysite will never cost more than $19.95/monthly. If you do not have the time to build your own website our web development team can help. We can build a 5 page bespoke website for $199 - We will set-up your new 5 page website and add the content you give us.